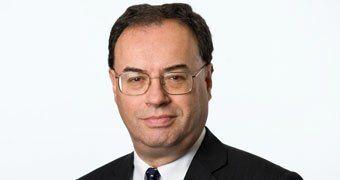 Speech by Andrew Bailey, Chief Executive of the FCA, delivered at our 2018 Annual Public Meeting. Brexit continues to require considerable resource and engagement with firms and other stakeholders. The balance of the risks we have to tackle has shifted towards operational risks, including resilience, technological change and financial crime. We continue to work on longstanding issues including RBS GRG, HBOS and Connaught. I’d like to take the opportunity to welcome Charles to his first APM as Chair. Charles brings with him a wealth of experience, both during the financial crisis and more recently as a member of the Prudential Regulation Committee, and so has a solid understanding of the challenges the FCA faces. It’s great to have him with us. The FCA’s goal is to serve the public interest through our regulation of financial services in the UK. That means accountability to the public. That’s why direct engagement like this is so important. The FCA’s goal is to serve the public interest through our regulation of financial services in the UK. Let me start with a few of the headlines of what we have been doing over the last year. We have continued to tackle the harms that we have found in parts of the consumer credit market, notably so-called high-cost credit. For the past four years, the FCA has been dealing with issues across a population of 30,000 consumer credit firms. This is the largest single task the FCA has undertaken in its history. Following our review of the high-cost credit market, in May we consulted on a package of measures that we expect to save consumers over £200m. We have committed to consider a cap on rent-to-own prices and fundamental changes to the way banks charge for overdrafts. We are also working with the Government and others to encourage the availability and consumer awareness of reasonably priced alternatives to high-cost credit. We have taken major initiatives as a competition authority. Probably the most notable of these has been the Asset Management Market Study, which has tackled a broad range of issues in pricing and transparency. And, with at least £8.1 trillion of assets managed in the UK, this is not a marginal financial services activity by any means. The major change under way around pension freedoms has had the effect of transferring much of the responsibility for pension decisions and long-term saving to individuals. Societal change and increasing life expectancy, and the impact these will have on how we manage our finances, mean there are good reasons for this. But because of their long-term nature and uncertainty, these decisions are some of the hardest consumers will have to make. So we are supporting them through initiatives like the Retirement Outcomes Review, the Financial Advice Market Review, and our supervisory work, as well as using our enforcement powers where necessary. We have continued our remedies work around PPI, with over £30bn paid out in redress so far. There is now just under a year to go before the deadline for PPI claims. Our campaign to ensure high levels of public awareness before then has further to go therefore, which means that Arnie will be back on your screens soon. As the UK’s financial market regulator, we have undertaken a broad programme of work over the last year, the new MiFID II EU Directive, the largest single change in financial market regulation, chief amongst it. And it was a major change; we estimated that under MiFID we will capture some 30-35 million transaction reports a day, up from 20 million before its introduction. I am pleased to report that we achieved this objective. Ten years on from the crisis, there is no question that we saw behaviour in the past which was well below what we should expect. The regulatory regime did not create the correct incentives – emphasising individual culpability rather than the responsibility of senior people for the firm’s activities as a whole. A defence that the individual did not personally make a bad loan or mis-sell a product is not good enough. We are now implementing the new Senior Managers and Certification Regime across our landscape, extending it out from banks. This is a very important change. We are conscious that we must strike the right balance between regulation which is robust and effective but that also enables change to occur which will benefit consumers. We are conscious that we must strike the right balance between regulation which is robust and effective but that also enables change to occur which will benefit consumers. That’s why we put so much emphasis on the work we do with Project Innovate and our regulatory sandbox. And we are particularly pleased at the scale of international partnership and engagement with other authorities around the world seeking to promote this objective. Lastly, the FCA maintains an active programme of work to develop our understanding of the issues consumers face. We have published our Financial Lives survey, which we believe is the most comprehensive study of UK consumers, organised by age, life cycle and region. We have also made the underlying data available for those who wish to carry out their own research using them. We intend to repeat this exercise on a regular basis so that we can see how issues change over time. I’d like to turn now to our ongoing work, and then offer some thoughts on wider implications. I am going to start with Brexit. Our work here cuts across all parts of the FCA and requires considerable resource. To support this, and our international engagement, I am pleased that Nausicaa Delfas has taken up the post of Executive Director of International. Our Brexit work has a number of important strands. We are working with the Government on the EU Withdrawal legislation to ensure continuity of the legal and regulatory framework after Brexit, when EU law will cease to have effect in the UK. We are working with firms to understand their preparations. And we are working on the design of the proposed temporary permissions regime (TPR) for EEA firms currently operating in the UK. The TPR will ensure EEA firms can operate the day after exit as they did the day before. It will also provide reassurance to consumers that the services they use will continue uninterrupted. Our commitment to protecting consumers and to strong, open markets remains resolute – whether the UK is a member of the EU or not. So we are committed to keeping our relationships with European counterparts as close as possible, after exit and beyond. A good example of this is the reform of Libor, an important part of our market integrity objective, where the Chairman of the Federal Reserve, Jerome Powell, and I chair the international group overseeing this work. Cross border market access – Open markets are an important enabler of healthy competition, supporting FCA objectives. Support for the principle of consistent global standards where markets are also global. Cooperation between regulatory authorities - A robust framework which provides for continued cooperation will be fundamental in enabling us to meet our objectives. Influence over standards - The FCA should continue to play a part in shaping international standards. We must build on our existing relationships with other regulators around the world through multilateral bodies such as IOSCO and the FSB. Opportunity to recruit and maintain a skilled workforce - Being able to recruit and retain the right people from across the world, with the right mix of skills, is important to the health of the organisation and indeed to the health of the wider UK financial sector. They remain our guiding principles. In particular, I would emphasise that we believe our objectives are best achieved in open financial markets where there is respect for the autonomy of domestic regulation, but where the outcomes of that regulation respect those international standards. This in turn provides a foundation for open markets. There is nothing new about this: Brexit does not require the international system to be reinvented. But I would re-emphasise a point I have made many times: that in the wake of the financial crisis it would have been easy to respond by closing financial markets in a bid to insulate the domestic economy and financial institutions, and ultimately consumers. That would have been a huge mistake. Now is not the time to go back on the commitment to open markets, and I am pleased that there are many authorities around the world who share our position. Looking back over the last decade there has been a very clear shift in the balance of risks that we have to tackle. We are still dealing with the consequences of some of these risks – I have already mentioned PPI and Libor reform. And, more deeply, we are still dealing with the major loss of public confidence in the financial system. But today we face a new source of risk to our objectives, which I would describe under the umbrella heading of operational risks. Let me draw out four themes. First, there is operational resilience and the consequences of its loss. This can take broadly two forms: cyber-risk, which involves the threat from outside actors seeking to disrupt firms and systems; and second, the risks that arise from the greater complexity of operational platforms in firms which can, as we have seen, lead to disruption for consumers. The impact of this type of risk is all the greater in an environment where consumers rely more on machines than human contact with firms. The FCA has an important role in these areas and we have increased our resources to reflect the risk. The second area is the impact of technological change and innovation. As I said earlier, the FCA is firmly a supporter of innovation, but we must balance this against the threats that come from some forms of innovation and the new issues they can pose. A good example of this is cryptoassets. We are keen to see the potential of their underlying technology, and do not rule out roles for cryptoassets themselves. But the risks are evident too: not least in the question of whether the consumers who use them understand the asset and price volatility they involve. We are working closely with the Treasury and Bank of England to assess these issues and come up with appropriate responses. This brings me to the third operational challenge, financial crime; a constant priority that sees us working with other authorities both here and abroad. Last year we received 1,064 requests for information and investigatory assistance from over 80 different regulatory and law enforcement authorities in 63 countries. We also worked closely with colleagues on a number of high profile cases, including against Beaufort Securities, an operation that we conducted in tandem with the US Department of Justice, as well as regulatory colleagues in Canada and Germany. This year saw the Office for Professional Body Anti-Money Laundering Supervision come into force. OPBAS, which is housed in the FCA, allows for better collaboration and information sharing between relevant authorities, supporting us in our aim to make the UK financial markets hostile to criminals. Through our ScamSmart campaign, we’ve also focused this year on increasing consumer awareness around the risks of fraud. The last broad operational risk I want to highlight concerns data. My assessment based on events over the last year or so is that data issues have been the fastest rising risk on our landscape. They take two forms. The first involves loss of personal data belonging to customers, whether caused by harmful actions such as cyber-attacks or due to mismanagement of data and negligence by firms. The second involves how firms use personal data, and whether this is consistent with our rules and principles. Of course, data issues are by no means restricted to financial services, and nor are they necessarily at their worst in our regulated world. But the heavy use of personal data to determine suitable products and services is inherent to financial services, so this issue is high up our agenda. I’d now like to turn to the longstanding issues we continue to work on. In July, we published an update on our investigation into RBS’ treatment of SME customers transferred to its Global Restructuring Group (GRG). Given the serious concerns that were identified in the independent review it was only right that we launched an investigation to see if we could take any action against senior management or RBS. It is important to recognise, however, that the business of GRG was largely unregulated and the FCA’s powers in such circumstances are therefore very limited. After considering all the evidence we concluded that our powers to discipline for misconduct did not apply and that any action in relation to senior management would not have reasonable prospects of success. Because of the importance of the issue, we had this conclusion ratified by independent senior counsel. I recognise the frustration this decision caused to GRG customers, but I’d like to make clear that we explored all the options available to us before arriving at this conclusion. I would also add that the fact that we cannot take action on this occasion in no way condones the behaviour of RBS, whose treatment of GRG customers fell well short of what we expect to see. In terms of next steps, we will publish a fuller account of our findings as soon as we are able to do so. And we are closely monitoring the complaints process overseen by Sir William Blackburne, an independent third party. Turning to HBOS, as many of you will be aware, there are two cases here; the one concerning individuals that came out of the main report and the Reading case. On the former, the review into why HBOS failed, published in 2015, concluded that the ultimate responsibility for HBOS’ failure rested with the Board and senior management of the firm. The FCA and PRA then began joint investigations into the conduct of certain former senior managers of HBOS. We have gathered a substantial amount of information from many sources. We were informed earlier this year of a number of further potentially relevant documents, which we are obtaining and reviewing as a matter of priority. In parallel, we are conducting an evidential and legal analysis of relevant information, and this will continue. We cannot reach any conclusions until the evidence review process is complete. We recognise that there is considerable public interest in these investigations. We have committed significant resources and time to ensure these matters are properly investigated and are treating them as a priority. Investigations like these, into events that took place a number of years ago, can take longer than is often appreciated. We are, though, committed to completing them as soon as possible. It is, however, frustrating that certain parties have determined to reveal the existence of more documentation at such a late stage. On Reading, last year we announced that we were recommencing an investigation into the events surrounding the discovery of misconduct within the HBOS Reading unit. This resumes an investigation that was put on hold in 2013 at the request of Thames Valley Police, pending the outcome of their investigation and prosecutions. The FCA’s investigation is focusing on the extent and nature of the knowledge of these matters within HBOS and its communications with the Financial Services Authority after the initial discovery of the misconduct. We have gathered over 140,000 documents and conducted targeted electronic searches to identify a specific sub-set of documents from this population. The team has reviewed around 35,000 documents and undertaken analysis of the interviews with former HBOS employees conducted to date. We are nearing the end of our investigative review and considering what action is appropriate. The timings for the completion of our review are subject to any additional relevant material being identified within the records that are still being provided to the HBOS individuals investigation. Now to turn to Connaught. In November, we announced that we had secured redress for the investors who suffered loss. The aim of the payment is to return the amount originally invested, putting investors, as far as possible, back into the position they would have been in if they had never invested in the fund. Redress statements have been sent to investors and for most cases we expect to begin payment to investors within 60 days of issuing the redress letter. Capita Financial Managers Limited (CFM) has been publicly censured and will pay up to £66mn to the investors affected. Lastly, on interest rate hedging products (IRHPs), review work is largely completed and over £2 billion has been paid out in redress. As relevant legal proceedings have not concluded, the lessons learnt exercise has not yet started, though we are undertaking preparatory work. Let me finish with a few points on the running of the FCA. I want to start by thanking all of my colleagues, both the senior management team here today and all FCA staff for the dedication and skill they bring to our work. Our regulation covers a very large landscape of financial services, which calls for a very big commitment from all colleagues. Let me also thank the FCA Board for their support and advice. Our regulation covers a very large landscape of financial services, which calls for a very big commitment from all colleagues. This summer has seen us move to our new home in Stratford. The immediate reason for the move was that after twenty years in Canary Wharf the lease expired. Stratford offers better value for money than the alternatives considered by the Board a few years ago. For the first time in a long while, all our London staff are in the same building, and I believe this will bring opportunities for how we work. We also have an office in Edinburgh, a long-standing presence, with around 100 staff. Almost a year ago, Maggie Craig took up her role as Head of Department, Scotland – a new role designed to develop the FCA’s presence in Scotland and help us engage more, and more consistently, with local stakeholders. But our engagement around the country is not limited to Scotland. Between my ExCo colleagues and I, we visited 26 different places last year, travelling all around the country. From Leicester to Belfast, Nottingham to Sunderland, we’ve met with charities, community groups, firms, local councils and universities. In Manchester at the launch of our Financial Lives geographical report, for example, I heard from charities who help to get homeless people back on their feet. These conversations give us invaluable insight into the diversity of experience of the consumers we protect and help us design better regulation. Meanwhile, our Live & Local programme has continued apace. In the 2017-18 programme, we travelled across all regions of the UK with events for retail investment, general insurance and mortgage firms. We are back out on the road next week for the 2018-19 programme, including events for payments firms for the first time. So now to the most important part of today’s meeting – the question and answer section. But before doing so, and in anticipation, thank you once again for coming along and making your views heard.